BOTTOM LINE: Debates over guns are a double-whammy for the empirically-minded social scientist. On the one hand, both pro- and anti-gun sides of the debate speak as though the data unequivocally support their position. On the other hand, both sides acknowledge that, in the end, the data are irrelevant to their positions. Hence, evidence-based adjudication of different policy recommendations becomes, if not impossible, then at least highly improbable. On Wednesday, January 16, 2013 President Barack Obama held a signing ceremony for 23 executive orders seeking to curb gun violence, including several addressing the background check system, gun safety mechanisms, and mental health issues. 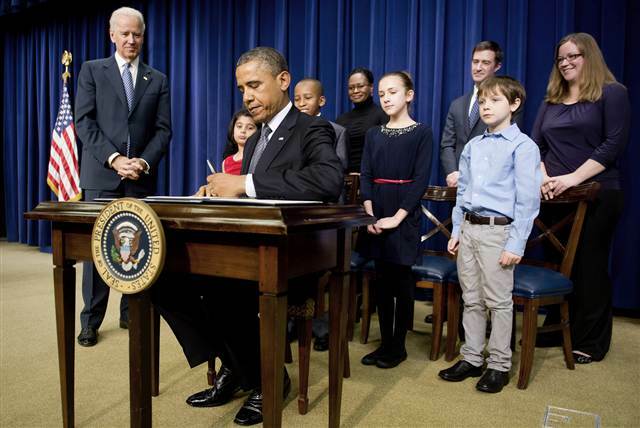 He signed the executive orders in front of four children who had written letters to the White House about gun violence. 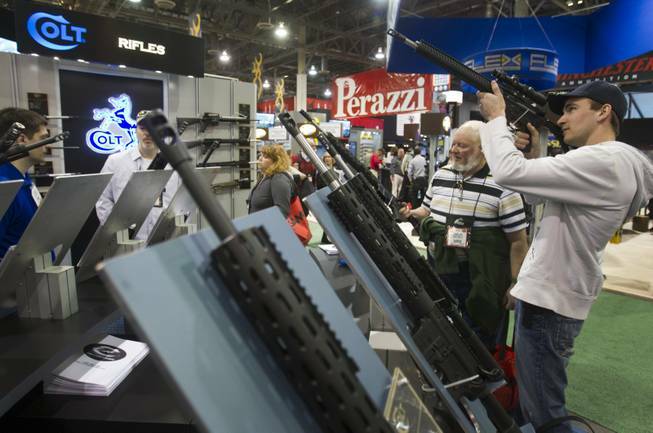 2,500 miles – but more importantly, a cultural world – away, a record 62,371 individuals along with 2,000 media representatives and 1,600 exhibitors took over 630,000 square feet of space in Las Vegas for the 35th annual Shooting Hunting Outdoor Trade (SHOT) Show, the US gun and ammo industry’s annual trade show. I entered this field wanting to study objectively the American gun culture. I quickly found, however, that is not a single gun culture; there are plural gun cultureS. There are old school hunters, many of whom have nothing to do with the cowboy action shooters that Abigail Kohn wrote about in her book Shooters, many of whom have nothing to do with antique gun collectors and black powder aficionados, many of whom have nothing to do with those who build and use “black rifles” (AR-15 platform rifles), many of whom have nothing to do with those primarily interested in owning handguns for self-defense, and so on. In addition to these various gun cultureS, there is also in America an anti-gun culture, which has emerged from its post-Brad Bill slumber in the wake of the Sandy Hook massacre. Focusing for the moment on the distinction between the pro-gun cultures and the anti-gun culture, I have quickly realized that there is a segment in each – how large, I do not know – that do not care about empirical data about guns and gun violence. They will make reference to data where it fits their agenda, but in the end, even if the data did not support their agenda, they would not abandon it. As an empirical social scientist, it is amazing for me to wade into a field of research in which, for example, estimates of how many times firearms are used in self-defense (called DGUs for defensive gun uses) annually range from 55 thousand (Hemenway 1997) to 2.55 million (Kleck and Gertz 1995). 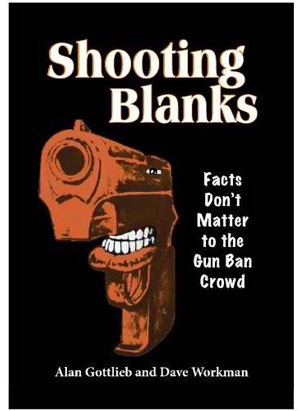 The anti-gun culture seeks to reduce gun violence in America by “informing policy with evidence and analysis” (Webster and Bernick 2013), while the pro-gun culture claims “facts don’t matter to the gun ban crowd” (Gottlieb and Workman 2011). I have elsewhere commented on my initial forays into research on guns and crime (here and here), as well as guns as a risk factor for homicide (here and here). Among the interesting take-aways for me from these forays is the often (too) strong movement from complex and equivocal empirical findings to definitive and unequivocal policy statements. I am currently reading Reducing Gun Violence in America, a book hastily produced from papers presented at a symposium held at the Johns Hopkins University Bloomberg School of Public Health just a month after the Sandy Hook massacre. 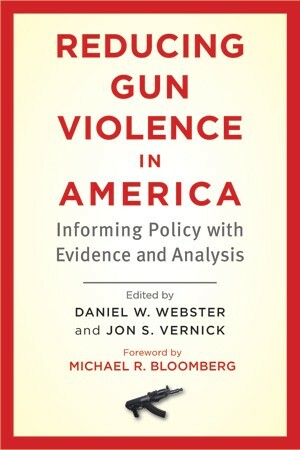 The authors self-consciously attempt to connect the state of the art in research with specific policy proposals designed to reduce gun violence. This is an admirable goal, but easier said than done. For example, one of the primary policy recommendations that comes out of the volume is to establish a universal background check system for all persons purchasing a firearm from any seller. Basically this would require sales of firearms that take place between two private individuals to go through a background check in the same way as purchases from federal firearms licensees (FFLs). As Cook and Ludwig note in the volume, such a system is already in place in California. If a private citizen wants to buy a firearm from another private citizen, the transaction must go through an FFL who conducts the background check for a fee. So far, so good. Except, as Cook and Ludwig also note, “Whether the California system is successful in reducing gun violence has not been established” (p. 29). The volume is also peppered with speculative language which can easily be glossed as established fact, such as: “Some portion of these gun crimes might have been prevented if these offenders had been prohibited from possessing firearms when they committed the offenses for which they were incarcerated” (p. 67, emphasis added). At President Obama’s January 16th signing ceremony, he declared, “I intend to use whatever weight this office holds to make them a reality. Because while there is no law or set of laws that can prevent every senseless act of violence completely, if there is even one thing we can do to reduce this violence – if even one life can be saved – we have an obligation to try.” If even one life can be saved is an interesting criterion for the implementation of public policy, but one that fits with the overall ethic of the Reducing Gun Violence volume. Even if the empirical data are equivocal, we should still do something in an effort to prevent gun violence – to save even one life. I could not help but think, though, when I heard President Obama say this, that we as a society acting through our government forgo opportunities to save “even one life” all the time because of the costs of doing so are too high. Do I think that imposing a weight limit or speed regulators on personal vehicles would save one life? Certainly. Do I think that requiring parents to have CPR training and safety covers on their swimming pools would save one life? Certainly. Do I think that reducing the legal BAC to 0.00 would save one life? Certainly. And so on. But we choose not to impose these restrictions on individuals because they go against other rights and/or goods that we value. So, do I think that imposing California’s system of background checks nationwide would save one life? Probably so. But is that reason enough to do it? Perhaps not. Which brings me back to what I thought was going to be the main point of this post: the impossibility of evidence based adjudication with respect to the role of guns in American society. Here I draw on the work of Dan Kahan of the Yale Law School and the “cultural cognition” perspective he develops. According to this perspective, cultural values are prior to facts, not just in a moral sense, but in a cognitive sense. Following the cultural theory of risk pioneered by Mary Douglas and Aaron Wildavsky, Kahan categorizes people according to four worldviews: individualist, egalitarian, hierarchist, and communitarian. These worldviews shape our sense of what risks are real and what their potential consequences are. Individualists and hierarchists rate the risk of guns to be low and so favor gun rights, while egalitarians and communitarians rate the risk of guns to be high and so favor gun control. These assessments are prior to facts, and trump them. Kahan makes two observations about data on the positive versus negative effects of guns. First, as the National Academy of Sciences has noted, the data are inconclusive. Second, they are not what truly motivate people’s positions on the issue. Therefore, that in terms of the role of guns in American society, including the defense of gun rights vs. the control of gun dangers, statistics are beside the point. Tags: Background Checks, Barack Obama, Cultural Cognition, Dan Kahan, Data, Defensive Gun Use, gun control, Gun Violence, Newtown, SHOT Show. Bookmark the permalink. I find this incredibly depressing. Not just because both sides ignore data, but because it also eats away at support for the scientific method. While the pro-gun side bears some blame, I believe the anti-gun side -or at least those that purport to base their views on results derived from the scientific method- bear more of it. There are no “pro-gun” schools of public health, only anti-gun schools, and this post, among others, proposes that research at those schools are conducted to reach pre-ordained conclusions. Ordinary citizens lack the training necessary to winnow through the details of that research, but many gunowners are rightly distrustful. When those same people hear of ‘controversial’ research suggesting that Earth is experiencing anthropogenic climate change, their distrust is now less easily dismissed. All that said, it would be good if people who understood guns better would be involved in research on them. For example, when I was at the American Society of Criminology meetings last fall, there was a panel on the regulation of ammunition purchases. (See: https://gunculture2point0.wordpress.com/2014/01/17/reflections-on-firearms-research-at-annual-meeting-of-the-american-society-of-criminology-on-the-regulation-of-ammunition-purchases/). One examined ammunition purchases by prohibited persons. The researchers found that 6.8K rounds were purchased by prohibited persons in a 2 month period in 2013. I’m not OK with even a single round being purchased by someone who is disqualified, but a USPSA shooter in the audience (who is also working on his PhD in sociology) pointed out that it is not uncommon for those in the shooting sports to shoot thousands of rounds. It just put the 6.8K in context that the researchers did not have. It reminded me of one of my earliest posts when I noted the 74,000 rounds fired at the 2012 IDPA National Championships and the 20,000 rounds fired at my MAG-40 class. (See: https://gunculture2point0.wordpress.com/2012/12/16/reflecting-on-the-meanin-of-shots-fired/). There is just alot of legitimate gun use in America that goes unseen and unconsidered. Which goes back to the more general point in some of our conversations that most public health researchers do not account for any positive use of guns — whether for self-defense or just for fun. In the end, however, I have to say that in most of the social science disciplines, an openly pro-gun person is not likely to feel very welcome. Sorry to have to conclude on another depressing note.